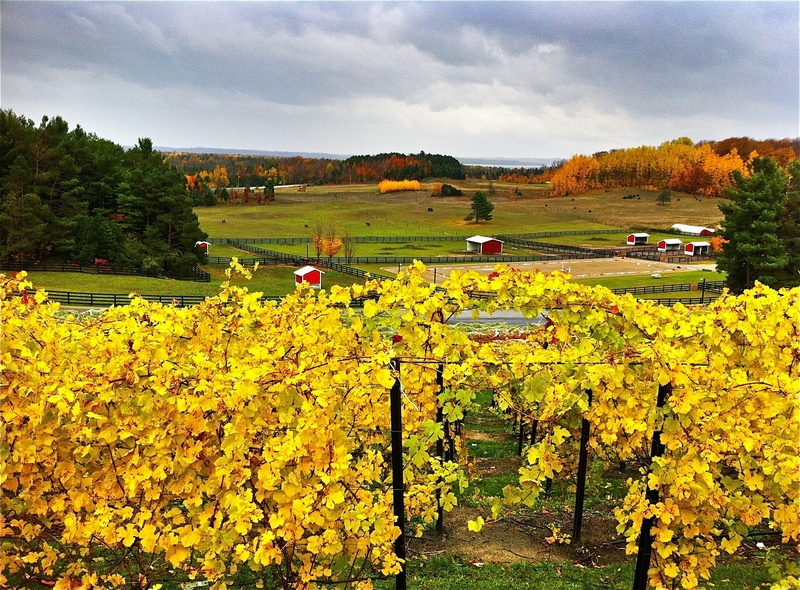 Art, Food, Escape, Wine, Black Star Farms and Me — YES! Why do you need to do this retreat? Because your soul needs it. It’s that simple. In the three years I have been teaching art classes, I repeatedly hear again and again how soul-charging it is to connect with your inner creative. It doesn’t mean you’re an artist or even want to be; it’s simply a vacation for your wellbeing. It’s like working out: You may feel too busy to do it, but you never regret having done it. We loved our stay at the Inn this past weekend where we enjoyed Art at the Inn with Stephanie. 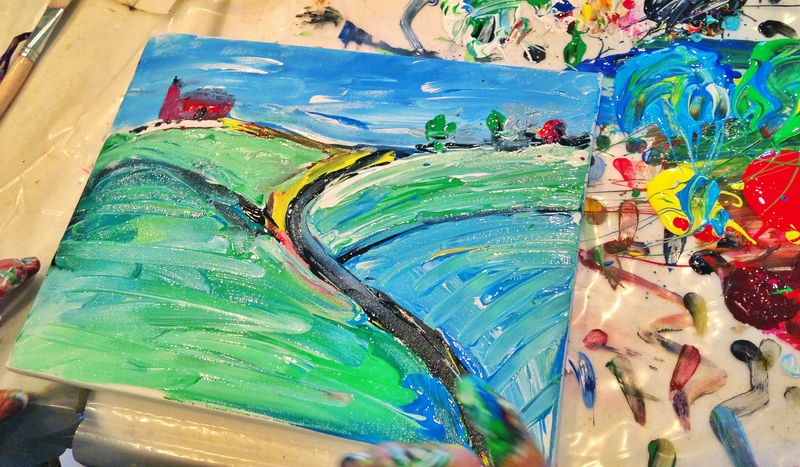 What a fantastic idea of pairing wine tasting and painting instructions in such a fun way so even the novice can leave with beautiful original artwork! Thank you, Stephanie, I hope this is offered again. And, then to end the evening with the chefs! What a fabulous meal. Thank you all for hospitality. If you really want to know a place, paint it. 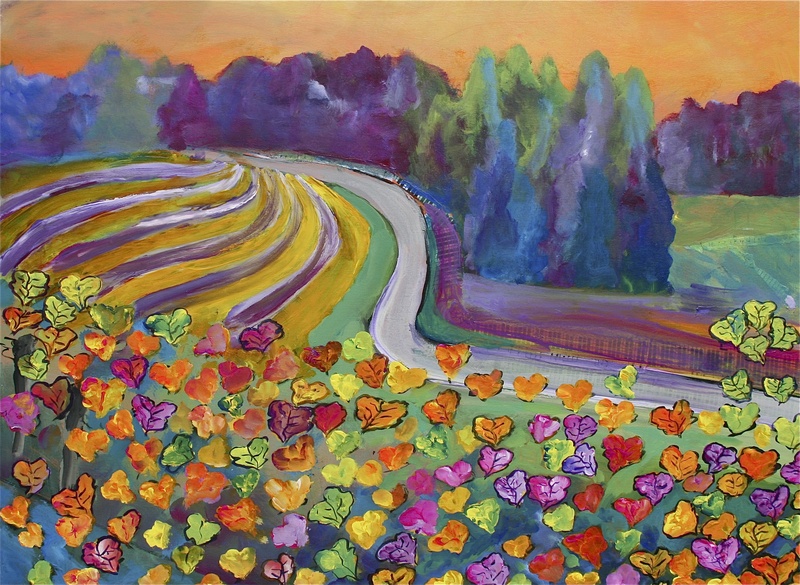 If you love northern Michigan’s wine country, you will gain a much deeper appreciation by painting it. This year’s focus is on the landscapes surrounding us, and to paint it, you must look deeper than surface level, noticing and really seeing. Wine is about the land, and diving deeper into your appreciation of wine begins with the landscapes. We will sip while we explore the beautiful region through our eyes first, then our taste buds, and then the experience will go through out individual creative filters and culminate in our interaction with paint and canvas. While we will be exploring from inside, we will bring the outside in through stories and photos. We will then go from paints to gourmet food. Add in the award-winning Inn at Black Star Farms, and really, what more could you ask for? We look forward to seeing you March 23 for an Artful Retreat for the soul!